Łódź is a black sheep in some regards when it comes to the largest Polish cities. It is, after all, the country's third largest city however it constantly gets overlooked as a legitimate tourist destination. Similar to Katowice, Łódź is quickly shifting from black sheep to dark horse as the city nears completion of some of the hugest investment projects in the city and country's history. Specifically, with EC1 now fully operational (Deathstar connotation intentional) Łódź is home to the most innovative Science & Technology Museums in all of Europe. The permanent feather in the city's cap is the magnificent Manufaktura complex. Although many associate it with shopping gastronomy, it also house numerous Museums. The Museum of the Factory explores the industrial history of the Manufaktura complex and the MS2 Modern Art Museum has one of the best contemporary art collections in Poland. Likewise, the fantastic OFF Piotrkowska really shines as a cultural hotspot in the heart of the city with its mix of bars, restaurants and genreal laid back climate. There are also a ton of fascinating statues and monuments worth checking out in Łódź, many on or near the majestic pedestrian thoroughfare known as Piotrkowska Street. So go for a stroll from top to bottom and look out for The Lamp Man, Artur Rubenstien, Miś Uszatek (communist Mickey Mouse counterpart), and Leon Schiller plus all sorts of other surprises along the way. 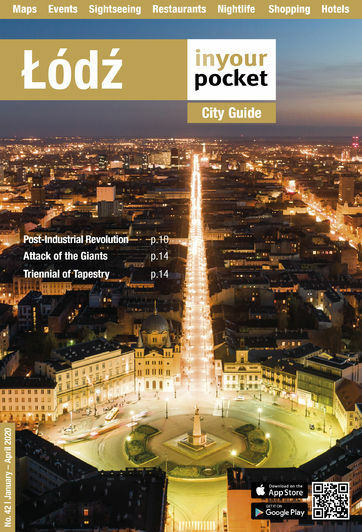 Especially make sure you keep your eye out for the dark horse that is Łódź because many Poles, never mind tourists, won't see it coming as a cutting edge and dynamic tourist destination.